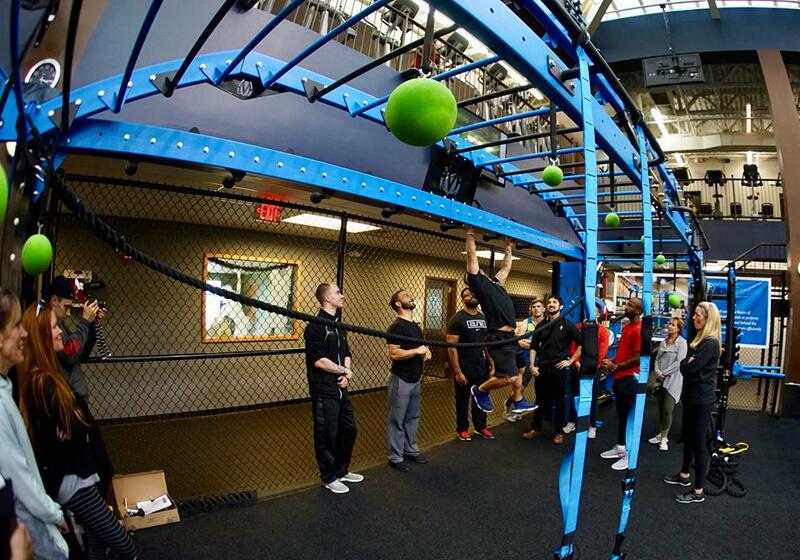 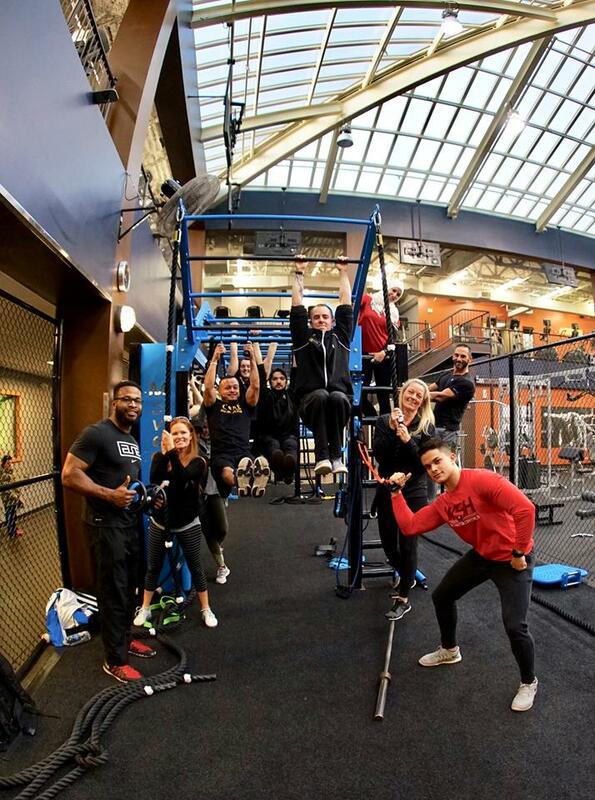 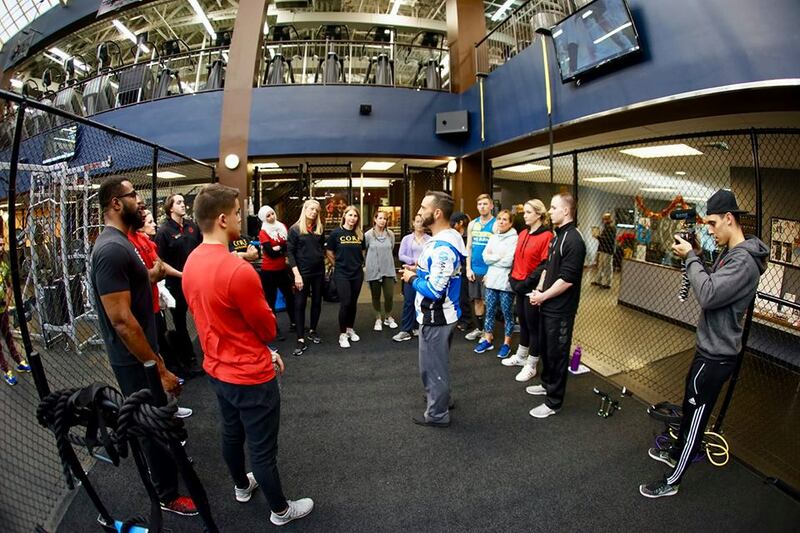 MoveStrong was on-site to conduct a In-Service workshop for Gold's Gym Herndon, VA. 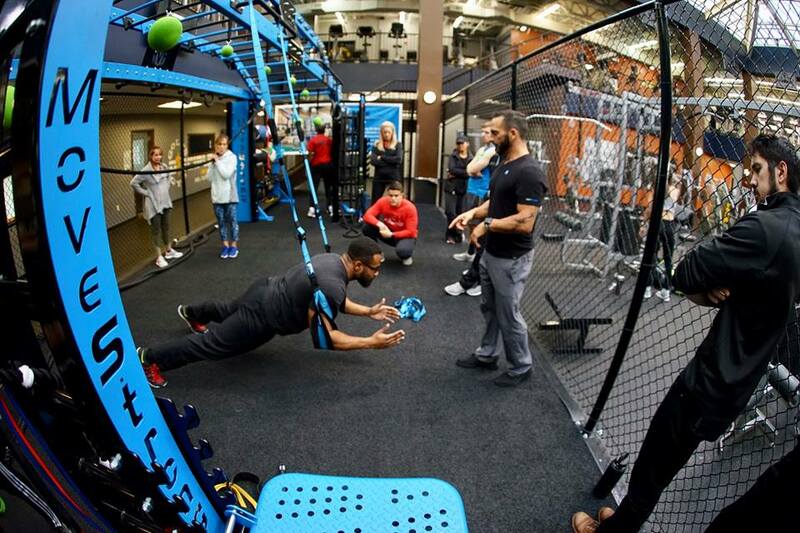 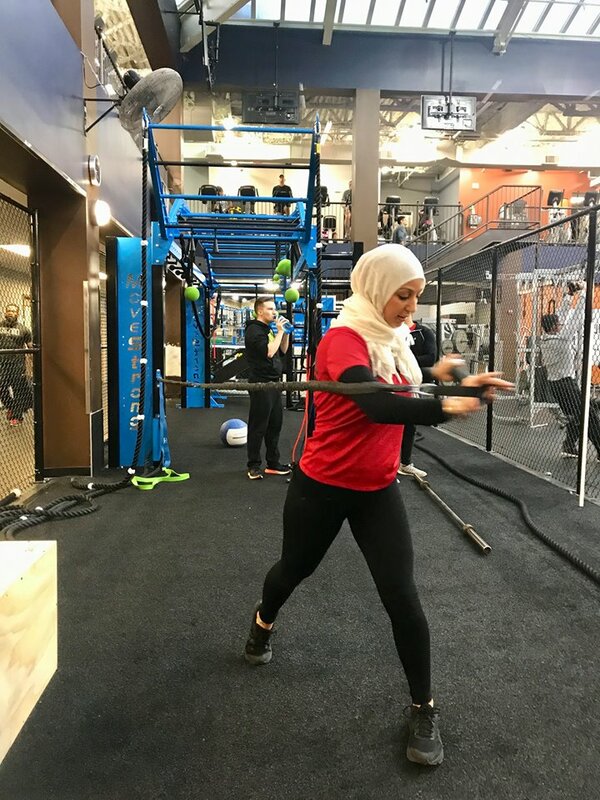 The Functional Training workshop was an intro to the MoveStrong philosophy of training along with hands-on demonstration of MoveStrong functional fitness equipment. 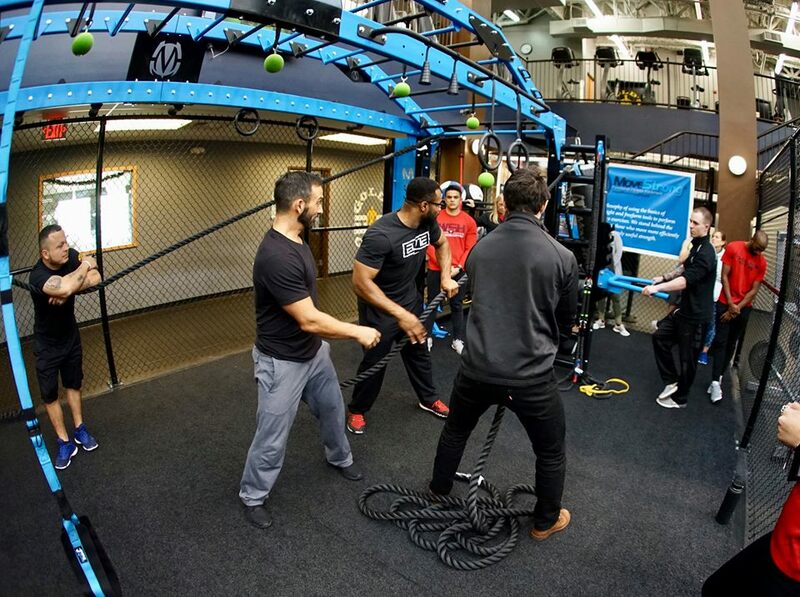 Many exercise progressions and regressions were reviewed with programing and format for group training classes. 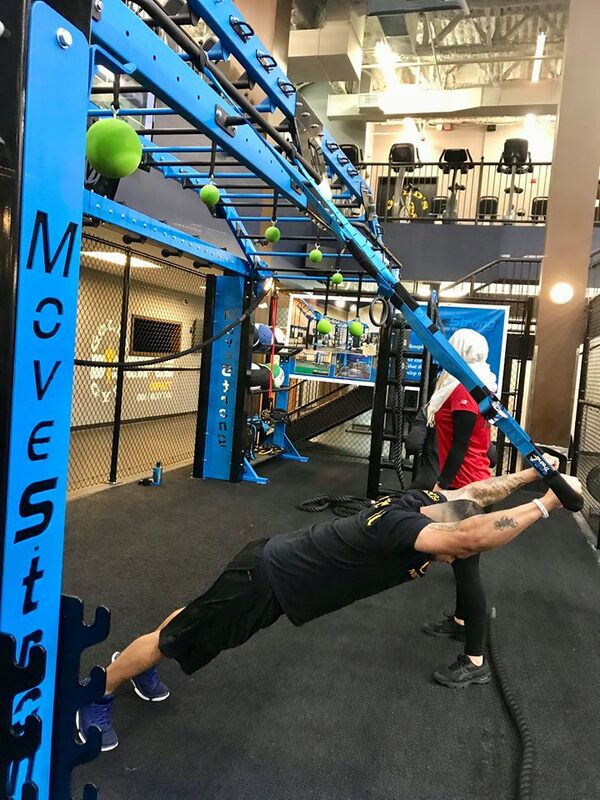 MoveStrong worked closely with Gold's Gym to create a dedicated space on the main gym floor to showcase the new Team Training area to members. 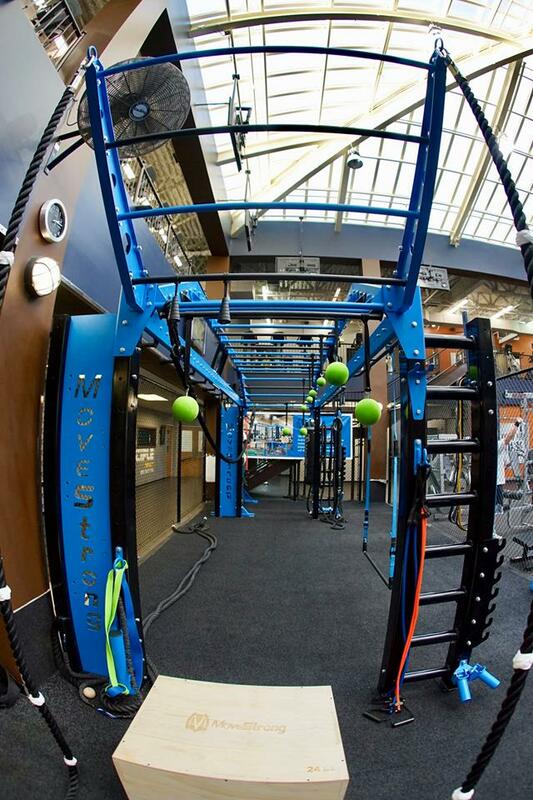 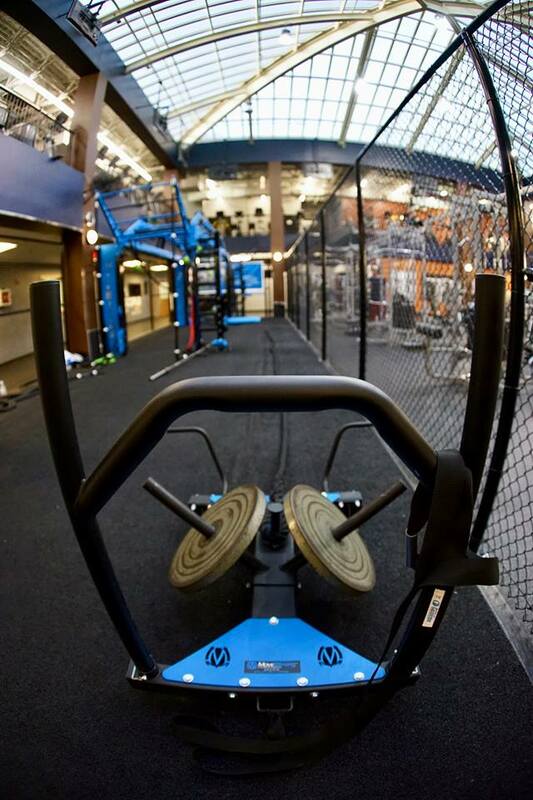 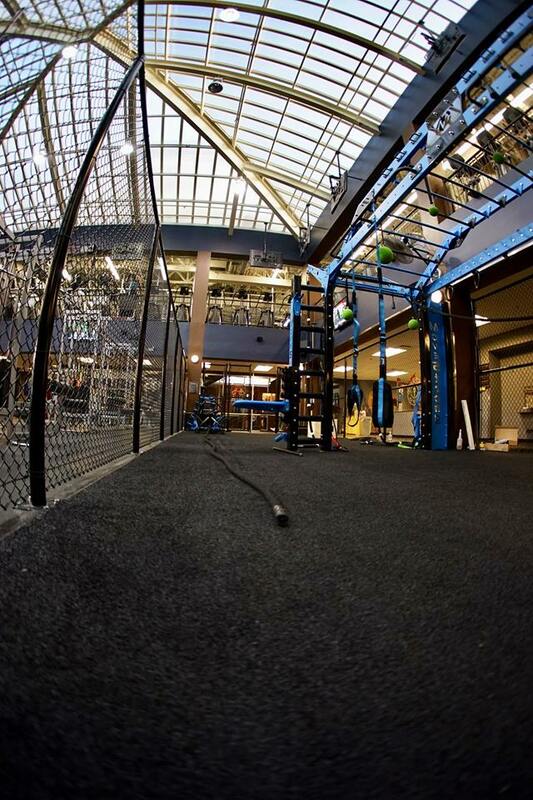 The MoveStrong Nova XL FTS along with many functional fitness tools such as the Dynabell , Elevate Trainers, Mantis Power Sled, Centerline Resistance bands, Elite Storage Rack, and many more training accessories round out this new space to help ramp-up personal and group training offerings to members. 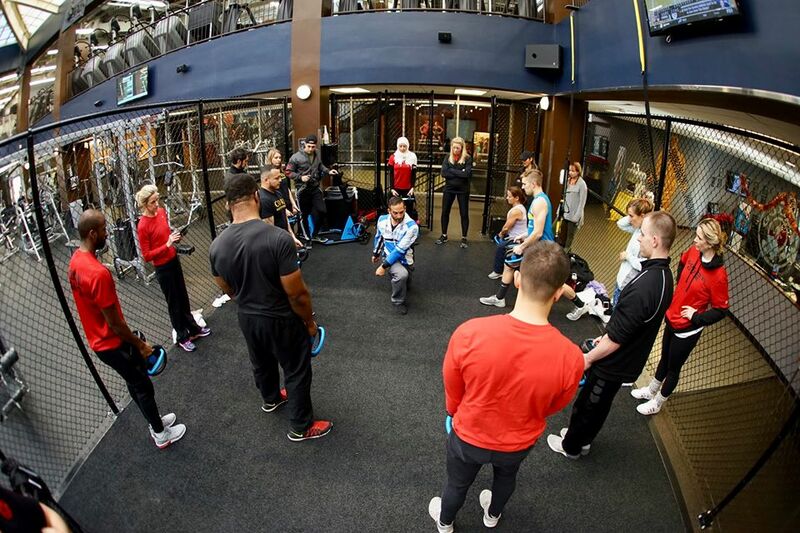 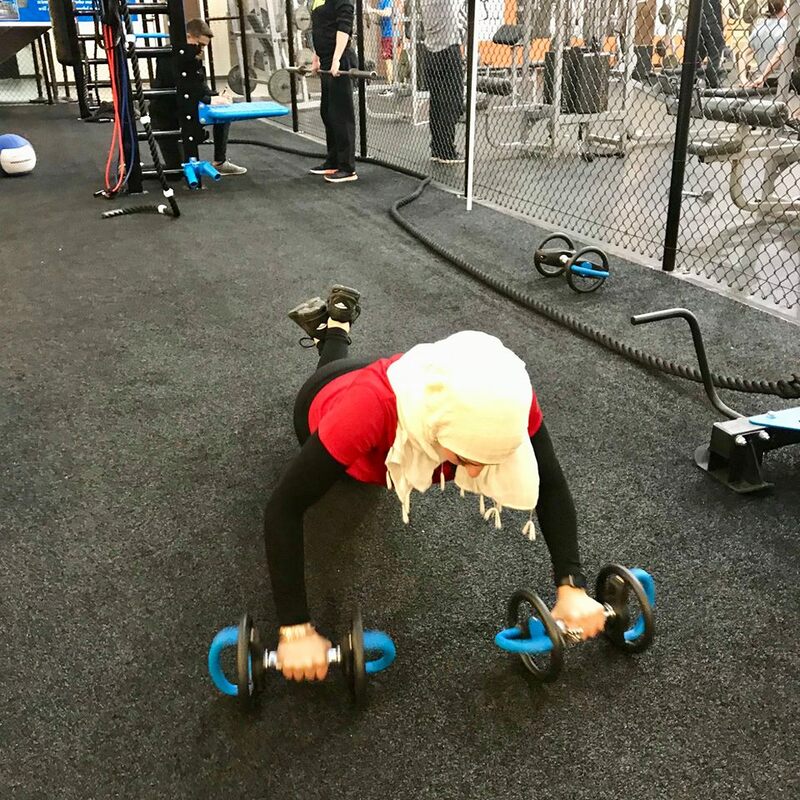 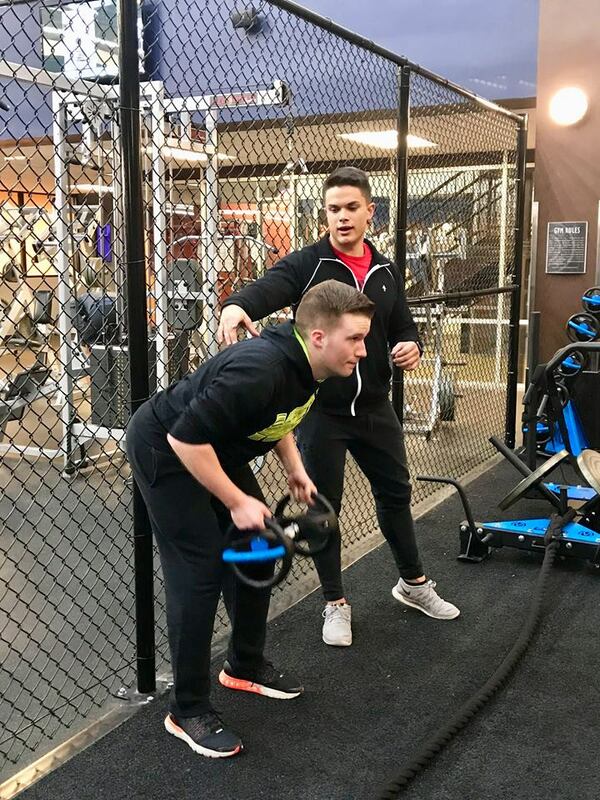 The following day a MoveStrong Group Functional Training workout was led for three Gold's Gym facilities to help trainers better understand programing and exercise instruction to launch the newly dedicated functional training areas.